Preheat oven to 425°. Peel and chop garlic and rosemary and set aside. 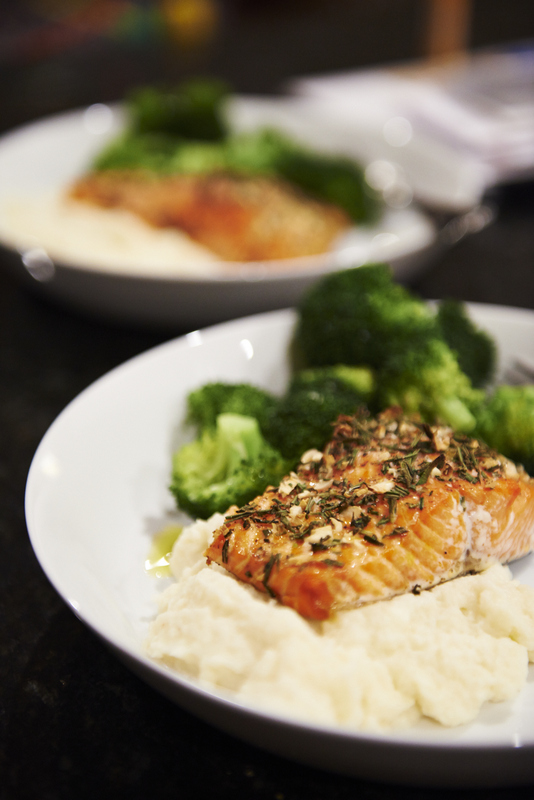 Place salmon on a parchment lined baking sheet. Sprinkle with salt, pepper- then pat on the rosemary, and chopped garlic. Place in the oven and roast for 12 minutes or until the salmon is flaky.